No peeing or pooping. 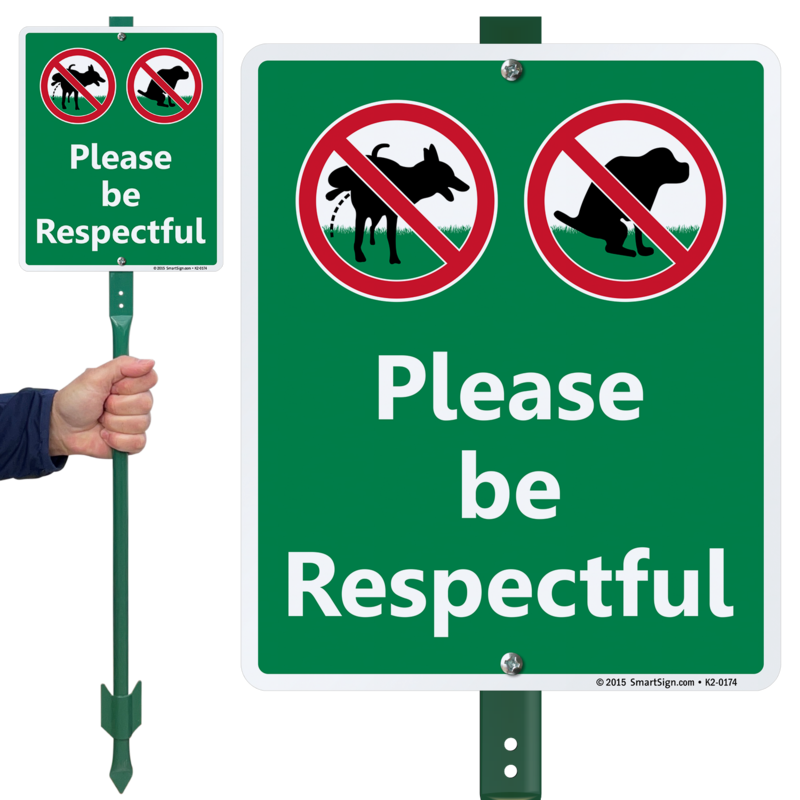 Remind dog owners to be respectful of your property. We're hoping for positive results from the sign. Just would be nice to have instruction on how to connect sign to pole. Very clear message and it is working! Plastic screws can be made stronger but overall terrific signs. 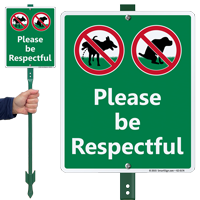 DogPoopSigns: Thank you for your order. We appreciate your feedback. If the plastic screws are made stronger they may be harder to screw in. However, we will pass this information along to the production team to look into.